As NATO looks to transform and reshape itself in a move away from a posture of assurance and regain its former focus on deterrence, relationship building between Alliance and Partner members is of the upmost importance. Countries do not have relationships; human beings do! Every opportunity must therefore be taken at senior political and military levels to build bridges and form linkages to ensure that NATO is more effective as a whole than the sum of its constituent parts. The complex trans-regional, multi-domain and concurrent nature of NATO’s security threats demands a mix of robust and effective capabilities. 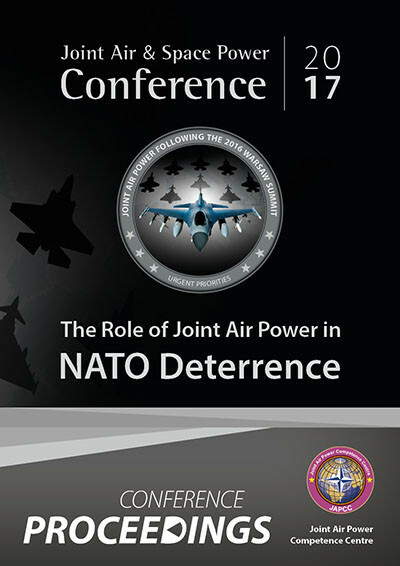 This is especially relevant for air power capabilities, together with agile, adaptable and highly reactive command and control systems; NATO must have the capabilities to act faster, more decisively and with more precision – in all environments (including degraded ones) than its adversaries if its deterrent posture is to force behavioural change and thus be effective. Furthermore, NATO must learn to look at problems globally because not all of the Alliance’s challenges are confined within its geographic footprint, and the solutions to these problems may not be either. The future will likely see hybrid warfare continue to pose new challenges for the Alliance if potential adversaries’ hostile acts fall short of traditional red lines but nevertheless pose genuine threats. In some cases, hybrid warfare will be prosecuted from behind an A2AD bastion, and backstopped by the threat of nuclear escalation. This will further compound NATO’s already complex security challenges. The challenge of helping political leaders understand the philosophy behind an effective deterrent posture was highlighted. Many NATO countries now operate under political leadership teams with limited military service experience. In some cases, there is also a generational split between the new political leadership and existing Chiefs of Defence which can hinder mutual understanding and can lead, if left unaddressed, to a ‘political intellectual deficit’. Every opportunity must therefore be taken to enhance the awareness of Allied and Partner political leaders by showcasing military capabilities during realistic training exercises. One academic view put forward was that the military had been guilty in the past of accepting unclear and ambiguous political guidance rather than put potential promotions at risk. Having the moral courage to say ‘no’ and being constantly prepared to tell the truth to political leaders were viewed as critical characteristics of a dynamic, responsive, and responsible organization. The need for NATO to refocus on an enduring deterrence campaign reinforces the need to not simply generate capable forces, but to be able to sustain these forces, potentially at high readiness, for extended periods. In seeking to optimize this long-term sustainability, open and transparent dialogue with industry will be vital if NATO is to achieve its aims within the current extended period of fiscal constraint. Russia enjoys tremendous leverage through its wealth of natural energy resources and its well-developed capabilities in the cyber arena. It plays to these strengths extremely well. It was argued that in seeking to understand Russian thinking and Russian ambition, the Alliance is often guilty of looking through a 30-year-old lens with a Cold War perspective. Russia is seeking to create and exploit internal cracks and tensions within NATO and to thus undermine its vitally important cohesion.